Out of approximately 50,000 total evening news stories on ABC, CBS and NBC combined in the last four years, just 25 have covered the ongoing crisis in socialist Venezuela, according to a Media Research Center study published Tuesday. After Venezuela’s former socialist president, Hugo Chávez, passed away in March 2013, the country has spiraled into economic disaster and civil chaos. So far in 2017, more than 50 Venezuelans have been killed during protests against current Venezuelan President Nicolás Maduro and his socialist policies. 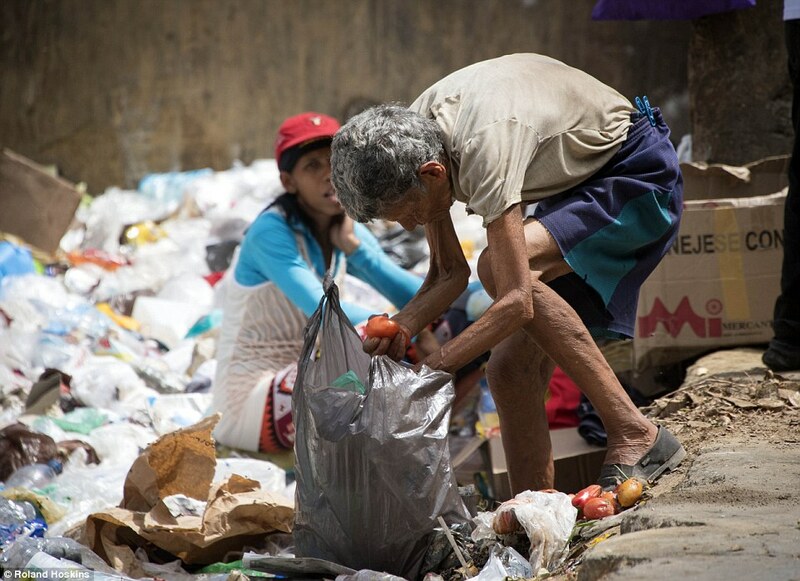 Many Venezuelans are starving due to shortages of food and other essentials. 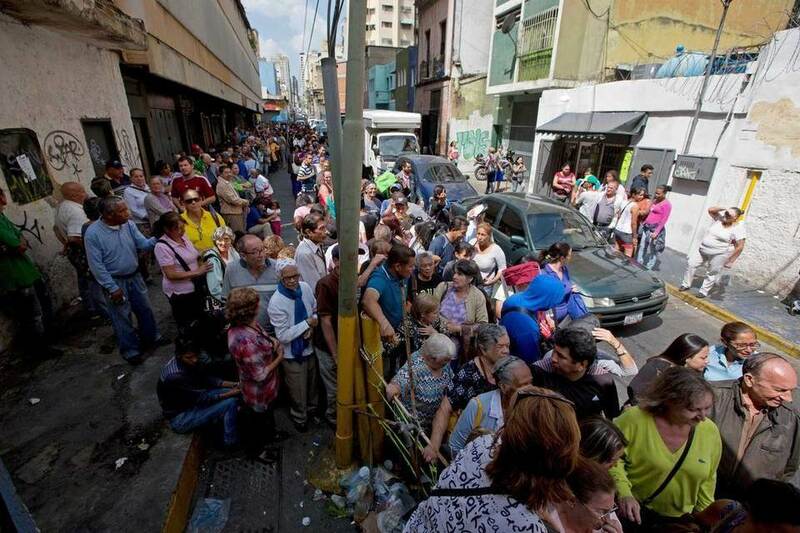 The country’s inflation rate is set to surpass 700 percent and 25 percent of Venezuelans will be unemployed. “Yet the Big Three evening newscasts have tried to pretend this crisis does not exist, offering virtually no coverage as the situation has deteriorated over the past four years,” MRC Research Analyst Mike Ciandella wrote. “The networks have also been reluctant to attach the ‘socialist’ label to Venezuela’s government, and have utterly failed to criticize liberal politicians and celebrities who have praised the Chávez and Maduro regimes,” Ciandella added. Indeed, out of the 50,000 total evening news stories on the three networks, just 25 covered Venezuela, and only seven mentioned “socialism.” In addition, NBC Nightly News only broadcast 13 stories spanning 16 minutes and 54 seconds, ABC’s World News only covered 8 minutes and 34 seconds over seven stories, and CBS Evening News only offered 3 minutes and 11 seconds over five stories. Ciandella noted that the three networks aired no stories when Maduro took advantage of a countrywide power outage to stamp out as much opposition as he could in September 2013. When Maduro used the powers he gave himself to rule the country in a state of “emergency” that superseded the National Assembly’s voice, the media networks were silent. After the anti-socialists elected a majority to the National Assembly in December 2015 and Maduro’s loyalist Supreme Court decided to strip the Assembly of its power on May 18, the media yawned. On occasion, one of the three major news networks will drop a rare mention of the word “socialism” in connection with the Venezuela crisis in its coverage. As MRC noted, one of those exceptions was correspondent Jacob Rascon on April 20’s NBC Nightly News. “The Venezuelan economy has been in freefall for years … protesters blamed President Nicolas Maduro and his socialist government,” Rascon said. 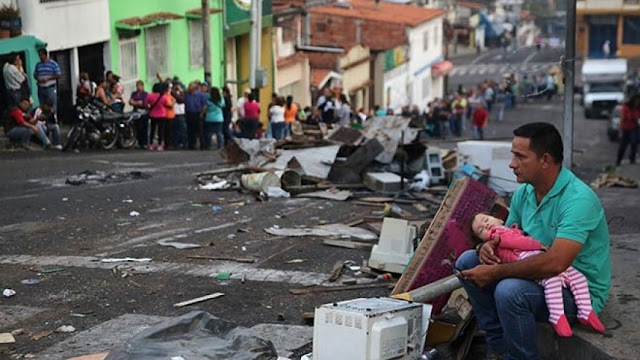 But all too often, the media turn a blind eye to the atrocities and tragedies that fester in Venezuela, along with the root causes underlying them. "In fact, ABC's 'World News Tonight' hasn't mentioned the words 'socialism' or 'socialist' in connection with Venezuela even once since Chávez's death in 2013," Ciandella told LifeZette. "This is completely inexcusable. The networks seem intent on distancing the socialism of the Chávez and Maduro regimes with the idealistic socialism of Bernie Sanders and liberal academia." The socialism that Vermont Sen. Bernie Sanders (I-Vt.) and many Hollywood celebrities champion appeals — in theory — to many U.S. college students and struggling young adults. "I often say only half-jokingly to students on college campuses who are all in with Bernie Sanders that if they think socialism is such a wonderful economic model: How about a one-way ticket to Caracas?" Stephen Moore, an economic policy analyst and Distinguished Visiting Fellow at The Heritage Foundation, wrote of Venezuela's capitol in a Washington Times op-ed published May 21. "You'd be a fool to go there today. Venezuela is a human-rights crisis of epic proportions, with mass hunger, mass poverty, despair, ghetto upon ghetto, and a mass exodus of private businesses and anyone with money," Moore added. "The burgeoning resistance throws Molotov cocktails, rocks, and even human feces at the security forces during the nonstop rioting. 'I don't fear death because this life is crap,' one protester told the WSJ," Moore added. "It turns out that 'share the wealth' eventually means there is no wealth, and the egalitarian dream means everyone becomes equally poor. Venezuela is on its way to becoming the next North Korea." NEW YORK, NY, May 30, 2017 – Today, conservatives stand together with #StoptheScalpings to push back against the attempt to silence those who dare to ask tough questions and pursue the truth. Sean Hannity, of Fox News, took it upon himself to delve deeper into a story, one that left many unanswered questions requiring further investigation. #StopTheScalpings is part of the Media Equality Project, a new organization launched by Brian Maloney and Melanie Morgan, two longtime talk show hosts, political and media analysts. The DNC, mainstream media, George Soros, and Media Matters for America, deemed Sean Hannity’s pursuit of the facts too close for comfort. In an effort to protect their ilk, and the secrets they keep, they have created a false narrative. They have defamed Hannity’s character, his work and political positions. Media Matters has now targeted Sean Hannity’s advertisers all in a back door effort to remove financial support for the show. They do this to silence his voice, because it does not speak in unison with their own. For months there has been a widespread media narrative advancing a conspiracy theory that the Trump campaign and the Russians colluded to release the DNC emails to Wikileaks, to hurt Hillary Clinton’s presidential campaign. To date, Former CIA Director John Brennan, Former FBI Director James Comey, Former Director of National Intelligence James Clapper, Senator Dianne Feinstein, Senator Joe Manchin, and Congresswoman Maxine Waters, to name a few, have all admitted that there is no evidence to this effect. In spite of this, the liberal media has spent thousands of hours in print and TV coverage to keep this lie alive. Hannity is the only the person in America, that we know of, that has actually interviewed the one person who knows the absolute truth as to the origin of the DNC emails. All Hannity has been doing is asking questions, if there is no Russia-Trump collusion, then is there another source? Asking the question is the responsibility of any good journalist, reporter or news personality. And for just asking questions, based on interviews with the head of Wikileaks (who has never been proven wrong in eleven years) and not going along with the monolithic left-wing Russia-Trump collusion, there is now an attempt to silence Hannity. 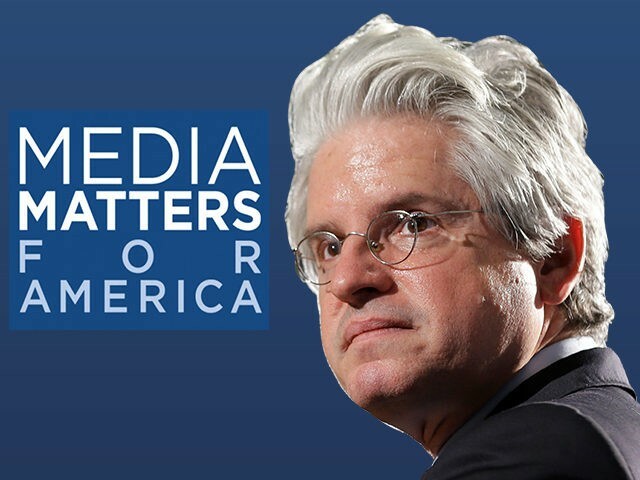 Hillary Clinton is one of the founders of Media Matters, and George Soros is a main benefactor, this is a group that has targeted numerous conservative voices for the sake of their being conservative. While not one liberal has stood up in defense of liberty and freedom for Hannity, there are numerous liberal hosts who have faced criticism for their point of view, that he has supported in the past. To counteract these fascistic tactics, #StoptheScalpings has decided to fight fire with fire. As long as Media Matters continues to attack conservatives, we will return them the same kindness. We begin with Rachel Maddow who has been the biggest purveyor of lies and propaganda in the media today. Like Media Matters, we will now inform the public and the advertisers about who they are financing. While we prefer not to be involved in this type of effort, we need to be on equal footing. We will continue to announce the advertisers that finance these efforts and support these hosts who allow lies and conspiracy theories to permeate the airwaves. If Media Matters ceases these type of assaults, we will do the same. Until then, we will list every advertiser that supports hosts like Rachel Maddow, an outright liar, and someone who deceives the public and defames conservatives on a daily basis. The question to these advertisers is: do they know what their dollars’ support? Conservatives everywhere are joining #StoptheScalpings, unveiling the advertisers who sponsor the shows, hosts and networks that support the suppression of the First Amendment. Calls, protests, and subscription revocations will continue to occur in rapid response to this miscarriage of justice. The American people will not stand for any company or organization that believes in silencing the voices that do not agree with their own. Here are the advertisers that support Rachel Maddow’s hateful, biased and untruthful reporting. You will find their names, emails and phone numbers below. We ask you to call them, email them, cancel your subscriptions, unless they pull their support for Rachel Maddow’s programming. Maddow Show advertiser list is found at this link . Call them now. Ask them why they are affiliated with outfits that do not uphold the Constitution. Ask them if they believe in freedom of speech, and if they are aware that they are connected with organizations and hosts like Rachel Maddow who are vehemently opposed. It is time to fight back for freedom, it is time to fight fire with fire. As is the case when any young person passes on too soon, Seth Rich’s death is, above all else, a terrible tragedy. While the mystery as to whom murdered Mr. Rich is still open - with no leads - new evidence has become available that clarifies the exact role the slain staffer played in the DNC Wikileaks leak. There is one minor snag: Congress won’t allow the evidence to be released. Internet entrepreneur Kim Dotcom has come forward with a request to reveal evidence linking Mr. Rich with the Clinton leak in front of the U.S. Congress. Dotcom, the Megaupload founder and friend of Julian Assange, has already consulted with his legal team and is reportedly ready to testify under oath. “If Congress includes #SethRich case into their Russia probe I’ll give written testimony with evidence that Seth Rich was @Wikileaks source,” Dotcom tweeted on Friday. 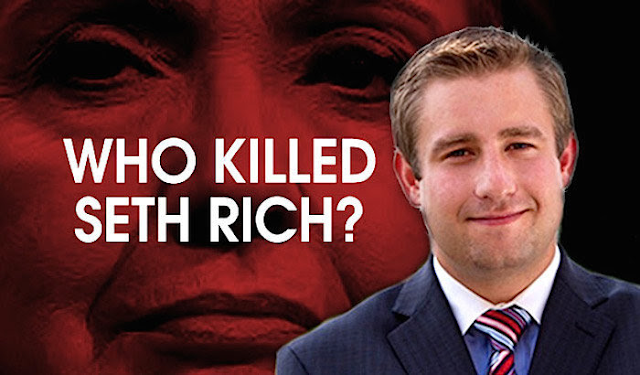 Despite what the media and politicians like to repeat, the Rich/Wikileakes connection has nothing to do with a far-right conspiracy to accuse Hillary Clinton of Murder. 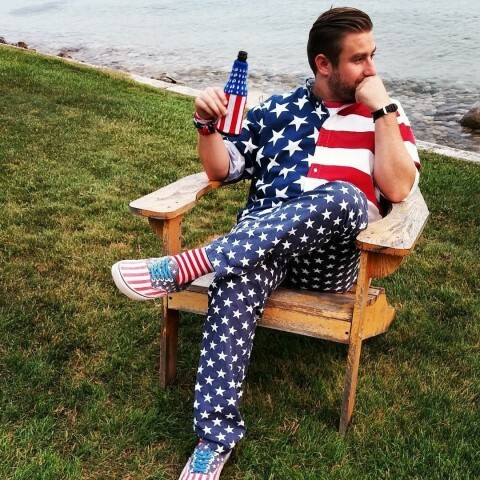 Quite simply, if Mr. Rich were the leaker, the entire Russia narrative blows up in the face of all those who blindly howled about it since November. The mainstream media have devoted thousands of hours to the Russiagate conspiracy theory, and it now appears unwilling to cover this breaking story for a single moment. 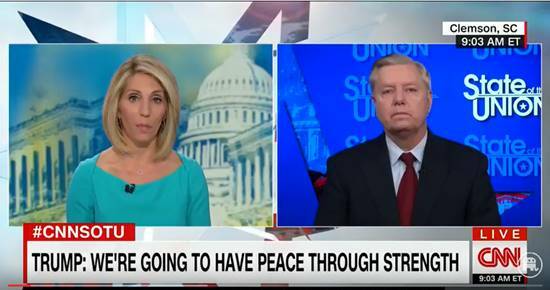 This should not be a partisan issue. Mr. Rich was a ferocious supporter of Bernie Sanders, in fact. For all those demanding more investigation into President Trump, can we get one afternoon to listen to a credible billionaire who is willing to testify under oath, at risk of perjury? Regardless of party, if you would like to get to the bottom of the Rich/Wikileaks connection, share this article and contact your congressman. Editor's note: For background read these articles Slain DNC Staffer Seth Rich Confirmed as WikiLeaks Contact (not the Russians! ), Wikipedia - Murder of Seth Rich. DISGUSTING!! HOW LOW WILL THE LEFT GO? Kathy Griffin wants Donald Trump's head ... but she wants it bloody and detached from his body. Comedian Kathy Griffin’s latest publicity stunt is beyond the pale and completely despicable. Here’s to hoping the Left gets as annoyed with Kathy Griffin as Cosmo Kramer did in 1998. Griffin has since belatedly apologized after a firestorm of criticism. Senators Al Franken (D-MN) and Catherine Cortez Masto (D-NV) should especially take notice. Both have benefited from thousands of dollars in political donations from Griffin over the past few years. Franken is even scheduled to hold an event alongside Griffin in a few weeks in Beverly Hills. Will Franken and Cortez Masto hang on to Griffin’s campaign cash? Will Franken still stand by Griffin at his book promotion event in a few weeks? 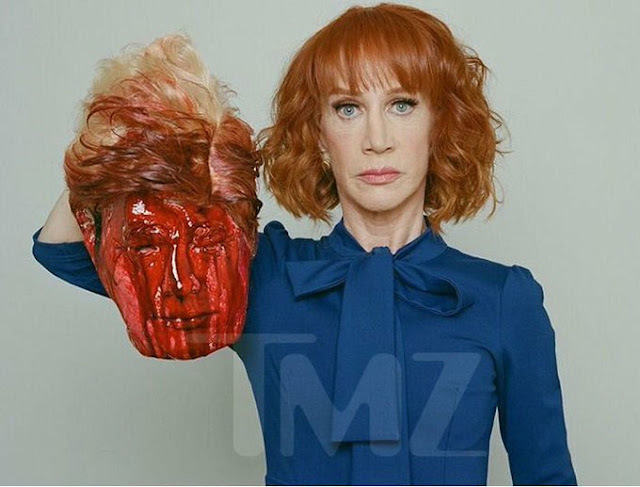 Kathy Griffin, who has never been shy about provoking people with her comedy, has really done it this time: She had herself photographed holding a mock "decapitated" head of Donald Trump. Griffin's many critics, on the right and the left, responded with outraged tweets mentioning these sorts of sentiments: She's "pure evil!" She's a "dumb idiot!" She's "not funny!" Now the U.S. Secret Service says it's looking into what she's calling an expression of art. But what was the point of her photo shoot with Tyler Shields, a self-described artist photographer famous for edgy imagery? He posted a YouTube video of his shoot with Griffin, in which she declines to explain much about what they're doing or why they're doing it. In it, Griffin, wearing a blue dress, is shown holding up a "head," streaked with what appears to be blood, of President Trump by the hair. At one point, she drops it. At another point, she jokes to Shields that they're going to have to run away to Mexico after the images go public. "I won't give away what we're doing but Tyler and I are not afraid to do images that make noise," she says in the video clip, in which she praises Shields for making her look like she's 15. (She's 56.) "But first I'm an artist. But it's good lighting." The normally supportive court censured administration officials, saying that the failure to disclose the extent of the violations earlier amounted to an “institutional lack of candor,” and that the improper searches constituted a “very serious Fourth Amendment issue,” according to a recently unsealed court document dated April 26. The admitted violations undercut one of the primary defenses that the intelligence community and Obama officials have used in recent weeks to justify their snooping into incidental NSA intercepts about Americans. ... The American Civil Liberties Union said the newly disclosed violations are some of the most serious to ever be documented and strongly call into question the U.S. intelligence community’s ability to police itself and safeguard Americans' privacy as guaranteed by the Constitution’s Fourth Amendment protections against unlawful search and seizure. As former anti-terrorism prosecutor and national security expert Andrew McCarthy writes in National Review, this is a very serious abuse. And potentially a crime. If such material were leaked to the press for political advantage, that's another crime. Will the Justice Department investigate and prosecute former Obama officials? It seems hard to imagine. But then, so did Nixon’s resignation, when the Watergate burglary was first discovered. This debacle also raises serious questions about the viability of our existing “intelligence community.” In the post-World War II era, we gave massive power to the national security apparatus. In part, that power was granted in the belief that professionalism and patriotism would lead people in those agencies to refuse to let their work be used for partisan political purposes. It now seems apparent that we overestimated the patriotism and professionalism of the people in these agencies, who allowed them to be politically weaponized by the Obama administration. That being true, if we value democracy, can we permit them to exist in their current form? That’s a decision that President Trump and Congress will have to face. Ironically, they may be afraid to — for fear that intelligence agencies will engage in further targeted political leaks. Has Anyone Ever Leaked So Much To So Little Effect? 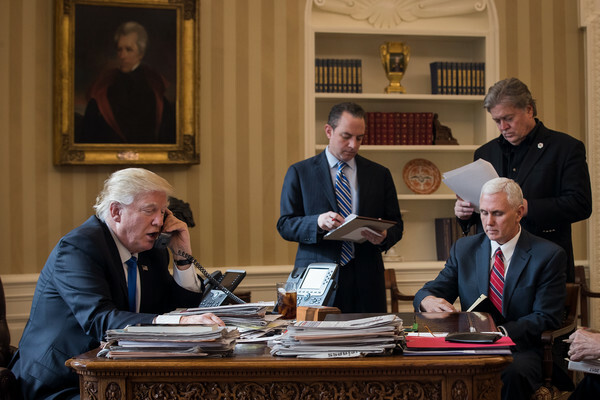 The number of anonymous leaks that have assailed President Trump since his inauguration is staggering. They have come from the intelligence agencies, the FBI, and all over the executive branch, including the White House. Gateway Pundit enumerates the leaks that liberal media have reported on breathlessly during just the last two and a half weeks: 17 of them, almost exactly one a day. Most have something to do with Russia, but God only knows what. Each of the last three administrations has sought better relations with Russia. George W. Bush looked into Vladimir Putin’s eyes and thought he saw his soul. (He was mistaken.) 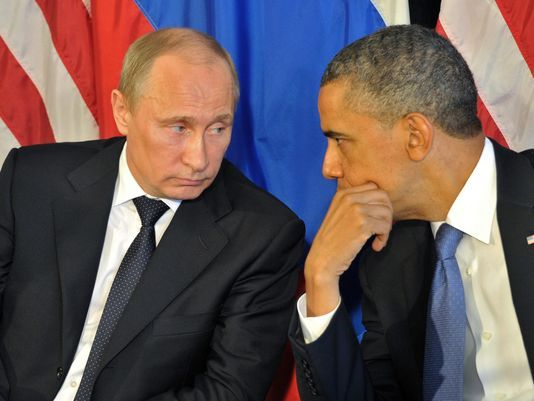 Barack Obama and Hillary Clinton tried to “reset” relations with Russia, blaming the disillusioned W. for the hostility between the U.S. and Russia that then prevailed. And Donald Trump and his advisers have likewise reached out to Russia in hopes of developing a more constructive relationship. Why? Because we share several vitally important interests with the Russians, notwithstanding our historic enmity. First, as the world’s leading nuclear powers, we have an interest in avoiding nuclear proliferation and catastrophic war. 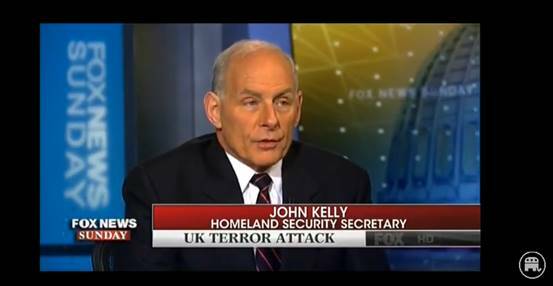 Second, Islamic terrorism poses a problem for both us and the Russians; it is actually worse for them. In principle, we should be able to work together, to some degree, on this issue. Third, China is aggressive and expansionist in the Far East. Russia shares our interest in containing Chinese ambitions. So it is entirely appropriate that our leaders should seek common ground with the Russians, where possible, in pursuit of our national interests. George W. Bush did it, Barack Obama did it, and Donald Trump is doing it. The main difference between Obama and Trump is that Obama was a pushover for Putin, and Trump isn’t. All of this is so obvious that I have stopped paying attention to the Left’s coverage of alleged “scandals” relating to Russia. The Democrats desperately hope that someone on Trump’s campaign team may have conspired with the Russians to phish the DNC’s email server, as well as the RNC’s. (Not sure how that works, but liberal conspiracy theories don’t have to make sense.) But we know there is no such evidence. 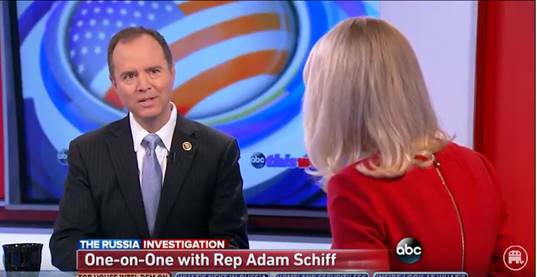 If there were, Democrats in the intelligence agencies, who, it now appears, were violating the law to a massive extent in search of dirt on Donald Trump, would have leaked it before the election. 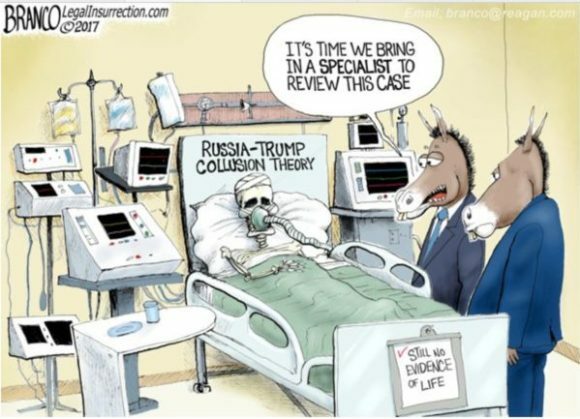 Absent evidence of collusion, the Left’s hysteria over Russia is going to fizzle out. In the end, it will look silly. 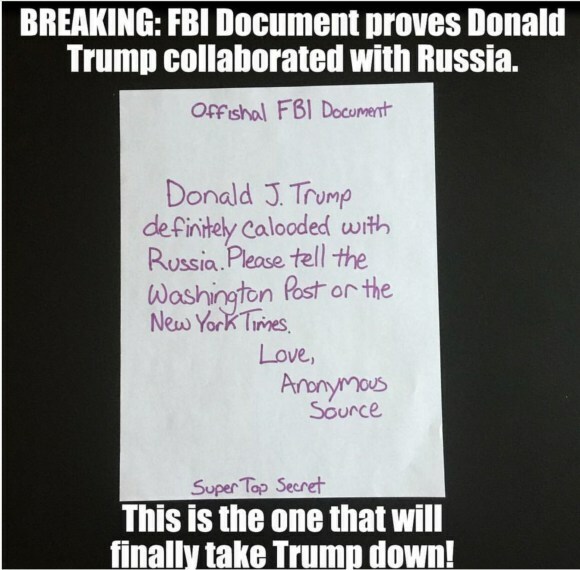 Meanwhile, everyone knows that the New York Times, the Washington Post, CNN, NBC, CBS, ABC, MSNBC, the Associated Press, etc., are using anonymous leaks in an effort to bring down the Trump administration on behalf of their party, the Democrats. I doubt that ten percent of the population could deny that proposition, and pass a lie detector test. So if nothing else, we have achieved clarity. 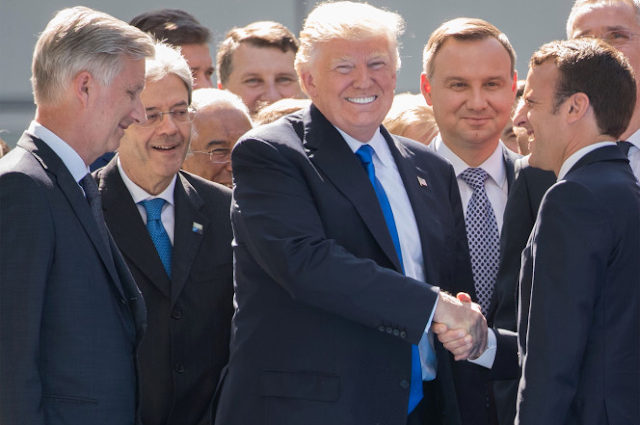 Trump’s triumphant foreign trip is a reminder, as Steve notes, that the antidote to the Left’s torrent of ineffective leaks is simple: govern. Here, the biggest concern, in my opinion, is Congress, not the president. Republican representatives and senators should get out of Washington and observe how little the people who voted for them are impressed by the Left’s assault on our president. Congress needs to pass the legislation the voters want–tax reform, Obamacare repeal, and the rest. And they need to do it soon. 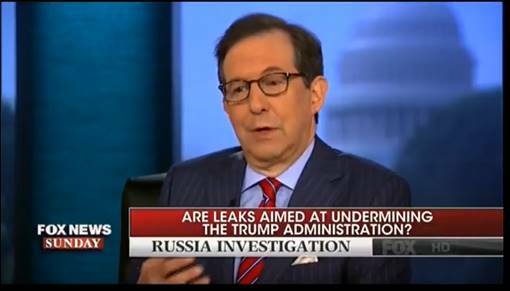 There was wide bipartisan consensus on the Sunday Shows condemning illegal intelligence leaks and agreement that they are endangering national security. He was clear, concise and disciplined. Those were the key ingredients that created a striking success for President Trump in his first foreign trip. If he can bottle that recipe and start each day in the Oval Office with a big gulp of it, his presidency gets a renewed chance to live up to its promises. Trump’s clarity on the global stage was a reminder of why he was elected. Much as he did in the campaign on his best days, he cut through the BS to get to the heart of contentious issues and offer forceful solutions. Under enormous scrutiny, he acted in the best traditions of American leadership on two continents by helping create a Muslim NATO to combat radical Islamists and by pushing the original NATO to face terrorism and financial facts. Throughout the weeklong trip, which also included a substantive, friendly meeting with the pope and tense negotiations over trade and climate change, Trump showed the message discipline too often missing in the White House. And he did it without sacrificing his core convictions or puckish personality. One priceless moment came as he stood in the $1.4 billion new NATO building in Brussels and referred to American taxpayers running out of patience with the alliance’s deadbeats. The incident no doubt cheered his supporters at home as much as it rankled the European elites, most of whom regard taxpayers as suitable only for fleecing, especially when they are American. I was honored to work in the Office of Management and Budget under President Ronald Reagan. I’ve been waiting for 30 years to say this, but finally we have a federal budget proposal that would make the Gipper proud. This is the best budget since Reagan undoubtedly. One way to know that’s true is to listen to the wailing and grinding of teeth on the left. When Hillary Clinton calls the budget “cruel” and “immoral,” you know you’re getting somewhere. This is a fiscal plan that stresses the need for economic growth and advocates the tax and regulatory policies that would get us there. It stresses federalism and allowing the states to play their constitutional role as laboratories of democracy. Let the states do it. The feds have struck out. Call it the new, New Federalism. It puts government on a real diet. And it calls out liberal big government failures. Everything from broken education programs, to the National Endowment for the Arts, has been put on the chopping block. Best of all is the call to overhaul the corrupt and corrupting welfare state — a $1 trillion a year system that pays people not to work. How can we go forward with 42 million people on food stamps and 70 million on Medicaid? Can it be true that one in eight families needs the government and taxpayers to put food on the table? Even better was his statement that “we will measure success based on how many people we take off of welfare, not how many sign up.” Obama measured economic success the opposite way: he spent hundreds of millions of tax dollars to encourage people to get food stamps and unemployment benefits. There is dignity and self-worth in work and earning a paycheck, not being sent a welfare check. There are now many hundreds of communities where as many as half the citizens are on some form of government assistance. This is wrong and creates a culture of dependency that is difficult to break. The White House’s big gamble here is that the Trump tax cuts will generate 3 to 4 percent growth. With 3 percent growth, over the next 20 years the debt as a share of GDP falls to about 50 percent of GDP. Conversely, as the Trump plan demonstrates, the 1.8 growth path Obama left Trump will cause a debt crisis over the next decade or two. With 3 to 4 percent growth millions of new jobs will be created and the need for welfare will start to disappear. The best way to help the poor is with a good paying job. So why is this cruel? ‎This budget, in sum, reverses Obamanomics. Well done. Obama’s gave us the worst debt record ($9 trillion added in eight years) of any president by a country mile. The economy barely recovered from recession. Americans voted for a change in direction and this budget lays it all out. The NAACP used to be a storied organization, that was a major player in the historic fight for full equality for Blacks in America; that was before they got bought out by the Democratic Party in the early 1970s; before they bowed downed to the alter of the homosexual community; and before they sold themselves to the likes of radical liberal, George Soros and his open borders crowd who believe everyone has a right to be in the U.S., whether legally or illegally. 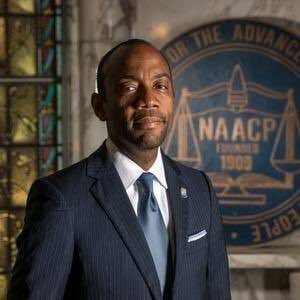 Like Clinton, the NAACP can never seem to bring itself to accept responsibility for any of their own actions; and the plight of the Black community can always be blamed on others. This Clintonian tick led them last Friday to fire their latest president and CEO, Cornell William Brooks. Brooks should have never been hired for this post; the national board selected him three years ago, because they wanted someone that was easy to control. Brooks was a horrible speaker and wasn’t as charismatic as some of their past leaders, but he was easily controlled. 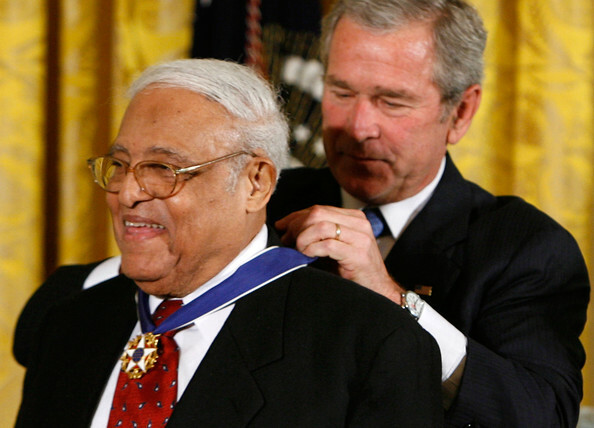 Since the 1970s, the NAACP has only had two heads, who made any difference in America and the organization; those two people were Benjamin Hooks and Bruce Gordon. Hooks was an icon of the Civil Rights Movement and a staunch Republican. Richard Nixon appointed him to serve on the Federal Communications Commission (FCC) in the early seventies. He was the first Black to ever serve on this commission and is singularly responsible for the diversity in media ownership that we see today. Without Hooks, networks like BET and TV One never would have existed. 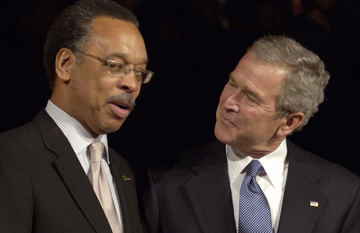 Maybe Hook’s speech at the NAACP’s 1990 convention is why they sanitized his Republican linage. The national board of the NAACP demands undying fealty and they love to micromanage their presidents; any attemps to cut their puppet strings and you become useless to them. God forbid a president makes a decision on his own or attempts to make the group more relevant to the 21st century. I know many of their leaders from across the country and the tragedy is that most of them don’t even believe in the issues the national board has made a priority. Publically, many state NAACP leaders say one thing and privately they believe another. Black community is very conservative. Blacks don’t support amnesty for illegals. Blacks are the largest voting block that supports school choice and vouchers! This, despite the NAACP passing a resolution last year at their national convention opposing school choice. And they wonder why they are no longer relevant to the Black community? I dare the NAACP national board to choose someone like Condoleezza Rice, Shannon Reeves, or Jennifer Carroll as their next leader; if they are truly interested in regaining relevancy, that’s exactly what they’ll do. Racial preference has never achieved what proponents promised. Why would it this time? The Supreme Court ruled Monday that race can be a factor, but not the predominant one, when states draw maps for legislative districts. If that formulation sounds familiar, it’s because the same court has offered similarly useless guidance regarding affirmative action in college admissions. Both state officials and college administrators deserve better, as do the supposed beneficiaries of these policies. Race-driven legislative districting is an outgrowth of the Voting Rights Act of 1965, which was intended to ensure that historically disenfranchised blacks had the ballot access guaranteed by the 15th Amendment. The law’s passage was followed by a sharp increase in black voter registration, particularly in the Deep South. In 1964 black voter registration in Mississippi was less than 7%, but by 1966 it was 60%. In Georgia the figure climbed from 19% to 51% over the same period. It would seem that the law had worked as Congress intended. As with so much civil-rights legislation, however, the goal posts moved over time. 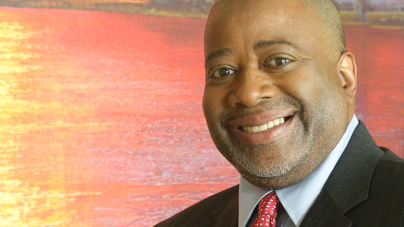 An effort to ensure ballot access became an effort to secure the election of black officials. And despite decades of evidence that whites now regularly vote for nonwhite candidates—including Barack Obama, who in 2008 carried a majority of white voters in nearly a third of states—we continue to pretend that voters must be racially segregated in order for blacks to win office. Besides being outdated, current interpretations and enforcement of the Voting Rights Act probably do more to hamper black candidates and facilitate racial polarization. Running for office in a district drawn to guarantee a winner from a certain racial or ethnic group gives a candidate little incentive to appeal to voters outside that group. Insulated politicians are less accountable and more given to extreme positions held by few beyond their small base of supporters. The Congressional Black Caucus has one of the most liberal voting records in Congress year after year, and black candidates from overstuffed minority districts struggle to win statewide. Affirmative action has a similar record—to the detriment of the people it intends to help. In the decades immediately following implementation of racial preferences in the 1970s, the number of whites living in poverty fell while the number of impoverished blacks increased, and incomes for the poorest blacks declined at more than double the rate of comparable whites. After the University of California system ended race-based admissions by referendum in 1996, black graduation rates increased. A policy designed to help the black middle class had in practice hampered black economic progress. The U.S. is not the only place where racial preferences haven’t achieved what proponents promised. Anyone familiar with the trajectory of affirmative action policies in America will recognize the similarities. After the British colonists left in the 1950s, Malaysia implemented racially discriminatory policies that favored the indigenous population over immigrant laborers and merchants from China and elsewhere. Malays, who comprise the majority of the population, receive preferential treatment for government loans, jobs and public university admissions. Marketplaces in Malaysia’s capital, Kuala Lumpur, reserve spaces for Malay shopkeepers and ban ethnic Chinese and Indian entrepreneurs from doing business there. Policies that were supposed to be temporary—proponents said they would be needed for no longer than 20 years—have not only continued for more than twice as long but also expanded. Just as preferences for blacks in the U.S. eventually spread to other groups, including Hispanics and women, Malaysia’s racial and ethnic spoils system has grown to include other indigenous populations deemed worthy of special consideration. Racial preferences have lowered standards at public universities as non-Malay students and professors have fled to merit-based private institutions. And Malay students who know that their job prospects don’t depend on academic performance feel less pressure to study hard. The Malay government is well aware that these policies have resulted in an “entitlement culture,” but the political imperative is to do what’s popular today, regardless of the consequences tomorrow. That, too, it seems, is a global feature of affirmative action policies in practice. Trump FIires FBI Director James Comey!